The Birmingham Zoo makes a great partner in education for schools and educators offering exciting learning programs and experiences for all ages and grades in our 122 acre classroom. Students have access to approximately 950 animals from 230 different species, including endangered species from six continents. The Birmingham Zoo’s Home School features exciting, in-depth classes for students enrolled in Pre-K through Ninth grade. Registration for 2018-2019 home school will open in July 11. Read more about our Home School classes and themes. Read more about our Nightlife Programs. Spend the day shadowing and working with a Birmingham Zoo ZooKeeper. ZooKeeper for a Day is designed for children ages 8 and up. Participants will experience the daily life of one of the Children’s Zoo’s or Bird Zoo Keepers. Please call 205.397.3864 to check availability. Read more about our ZooKeeper for a Day Program. The Birmingham Zoo Patch Programs allow scouts and groups to learn about the Zoo’s animals in detail through informative discussions, animal encounters and activities. 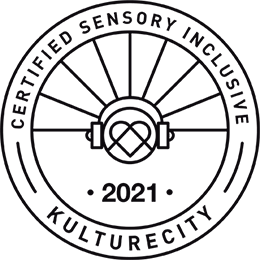 Patch Programs generally last up to two hours and include time in both the classroom and the Zoo. Programs can be modified for different age groups. Read more about our Patch Programs. 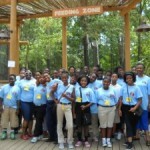 ZooSchool is an interdisciplinary program designed to give Birmingham City School seventh grade students a unique and interactive educational experience. Participating students are immersed in a week long curriculum based on the Birmingham Zoo’s Trails of Africa exhibit. While ZooSchool is only offered to seventh grade students attending Birmingham City Schools, there are several opportunities to support ZooSchool by being a program sponsor. To donate today, please click here. 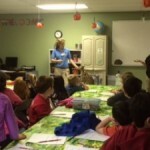 Read More about the Birmingham Zoo’s ZooSchool Program. Join us for specialty programs designed specifically for college classes. Learn detailed information about the Zoo’s animals with a focus that meets your needs. Different options are available. A minimum of 15 people are required for a program. Price is dependent upon program. Please contact our Education Department at 205-397-3864 or by email at education@birminghamzoo.com for more information.